David Paulides of the North American Bigfoot Search group signed copies of his new book Tribal Bigfoot (Hancock House Publishers, 2009) at the Bigfoot Discovery Museum in Felton, California yesterday. The museum revealed a new series of displays of bigfoot evidence as well. 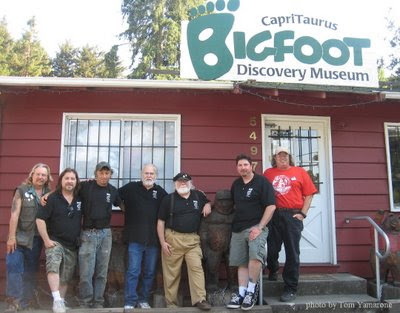 The event was well attended throughout the afternoon and a successful day for both the museum and North America Bigfoot Search (Paulides' group/website). David gave a one hour presentation to a rapt audience outside the museum in the shade of a big oak tree. His talk covered the group’s interest in the Patterson-Gimlin film as well as trends they have discovered in the forensic sketches they produce during their investigations. 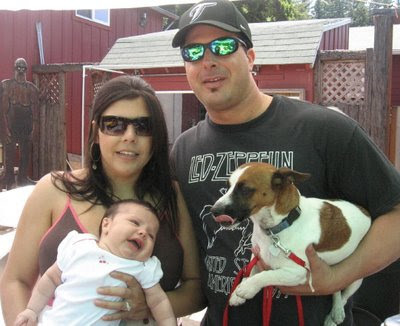 One of the revelations is a human-look to the bigfoots being described to them by eyewitnesses. He dramatically made this point by displaying images where the artist had removed the hair from the portrait. He also shared numerous sketches with the audience much to the delight of those present. 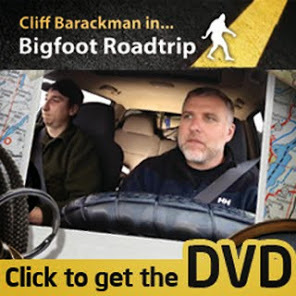 bigfooter I'm aware of), Bart, and Minnie the dogsquatch. It was a pleasant day at the Bigfoot Discovery Museum. The new displays expand the number of plaster casts to see and the evidence contained in the collection is now dispersed throughout all areas of the museum. 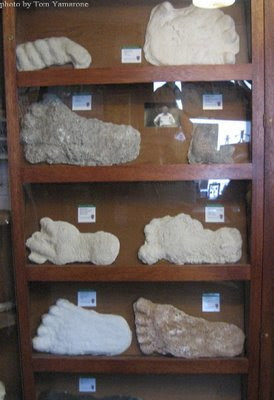 Some of the footprint casts on display. Mike Rugg, the co-founder and curator, has created a whole new “evidentiary” feel to the museum. 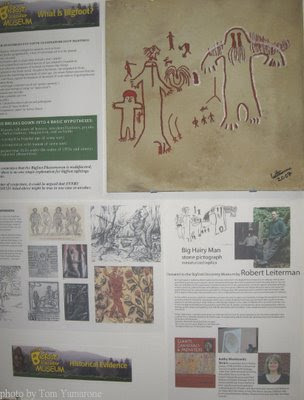 One notable section is the Native American wall that features a replica of the Hairy Man pictograph painted by bigfoot researcher and author, Robert Leiterman. Ranger Leiterman's Hairy Man art and display. Be sure to check Tom's blog at www.bigfootsongs.com.